Where Roots And Wings Entwine: Chitter Chatter review. There are many toys that walk the fine line of either being brilliant and amusing or utterly annoying; toys that will either be loved or hated. When I given the details about an interactive toy that we had been offered to review I instantly thought ‘this is one of those toys that will either be fantastically funny or completely irritating’ and I just had to see on which side on the fence it would land for us – brilliant or bad? The toy in question is a Chitter Chatter, which is an interactive toy that repeats everything you say to it thanks to its "super intelligent, button free function". 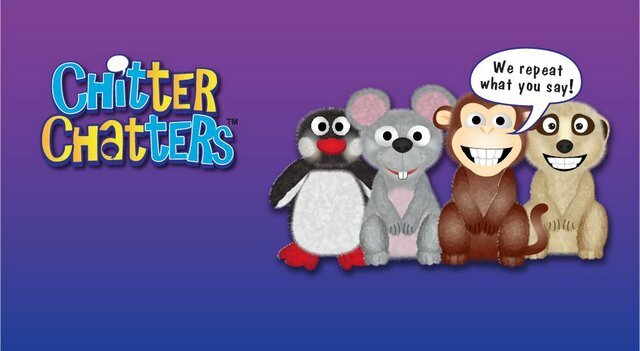 The Chitter Chatter gang consists of 4 animals; a mouse, a penguin, a monkey and a meerkat. Each animal has their own special, distinctive voice for repeating what you say. 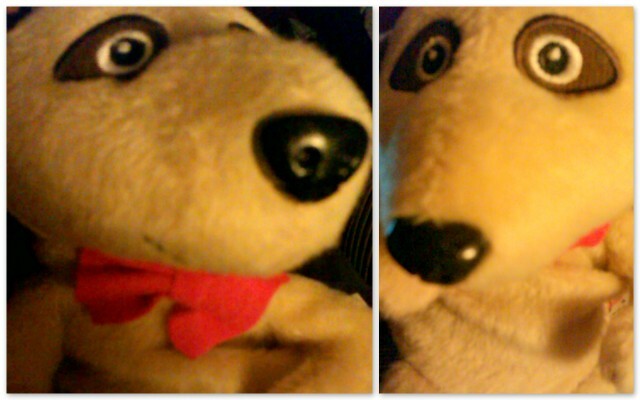 We were sent a meerkat Chitter Chatter who was promptly christened Mo. Lee was pleased that we were sent a meerkat as he loves meerkats (he always spends ages watching the meerkats when we visit Folly Farm). Mo is a cute little chap with a fancy red bow. 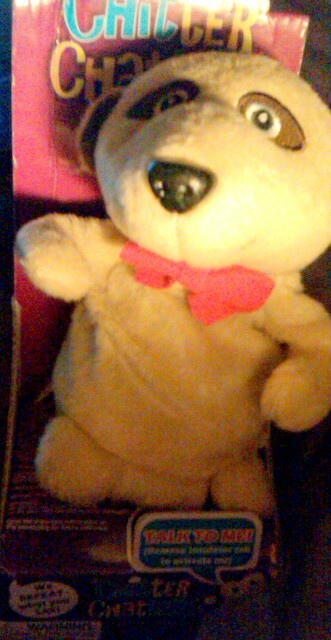 He is a friendly fellow who repeats everything you say in his super-fast, squeaky voice. His adorable little head bobs up and down as he repeats what has been said. Even though the Chitter Chatter animals are aimed at children 3years+, little man has had a few chats with Mo (whilst being supervised). Little man loves Mo; he is fascinated by our new sociable friend and finds it amusing that Mo copies what we all say. When little man is having a chat with Mo, there are giggles galore as little man finds it hilarious when Mo is gabbling away at speed and nodding his head. For us the meerkat Chitter Chatter has not slipped into the world of annoying toys as it is a fun, interactive toy with its own personality that little man finds highly amusing. Thankfully if he does get irritating at all there is an on/off switch which can be used to silent the Chitter Chatter for a while. Even though it is good that the Chitter Chatter can be silenced (we have a few toys that are annoying due to the fact that there is no off switch) I think it would be better if there was a option of different sound levels rather than only an on/off setting. The meerkat Chitter Chatter along with the rest of his friends can be purchased for a very reasonable £10 from the 50 Fifty Gifts website. The Chitter Chatters are a part of the Mint Toys range of products, which also includes other toys that are designed to encourage laughter and fun; such as Mad Muttz, Krazy Kats, Giggle Buddies and Annoying Monsters. 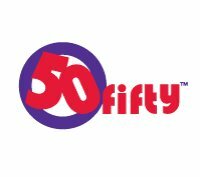 More Information about 50 Fifty Gifts.